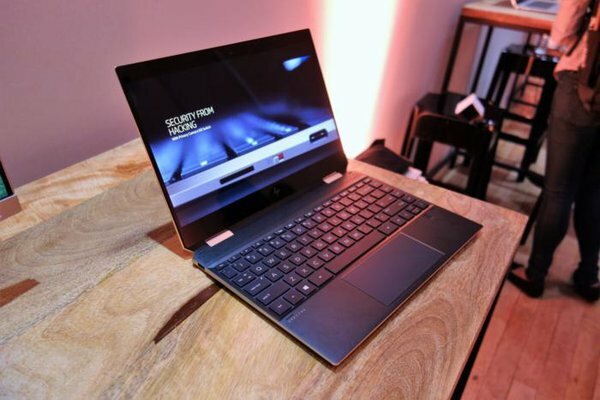 HP has been carrying their Spectre lineup like a shiny trophy since the past year. It has been the company’s paradigm for experimentation and demonstrating renewals and upgrades in their laptops. Well, the good just got better and the Spectre x360 13-inch and 15-inch both have been bestowed with remarkable features. The Spectre x360 will be departing 2018 with a set of whole new functionalities, an aesthetic design, a powerful battery life, and an improved security. HP has turned their stunning and artistic Spectre x360 laptops even more eye-pleasing by introducing a ‘gem cut’ design. The ‘angular’ edges as HP claims are not just there for the looks of it. The Thunderbolt-enabled USB-C port sits on the angled corner for better cable management and the power button is placed on the opposite corner. On one side of the chassis, you will see a small red switch that controls the web camera and is being called the ‘kill switch’. It can electrically disable the camera by actually removing the driver from Windows. Sound much cooler than taping it up right? While the 13.3-inch display looks similar to its predecessor model, the bezels have been thinned from all directions but the top, which remains intact. Speaking of what’s intact, the convertibility is the same as the previous models. The displays flip over into tablet mode or into media mode depending on your preference. The 15-inch model has received this pump majorly because of designers, photographers, developers, illustrators etc. Basically, the professional class users who value nothing more than an improved CPU and GPU performance. For the RAM option in the 15-inch model, you can go up to 16GB and up to 512GB for SSD storage. The battery life, however, for the 15-inch variant is estimated to hit up to around 17 hours, maintaining a substantial gap from the 13-inch model. The graphics have been replaced by HP from AMD’s Vega M to Nvidia. So, you would be deciding between Intel’s latest 8th gen quad-core and six-core processors. Respectively with a Nvidia GeForce MX150, or with a GTX 1050 Ti (Max-Q) option. The GTX 1050 Ti option is going to be significantly more equipped than the Nvidia GeForce MX150 for gaming or video processing. To cool off the machine after doing all the heavy graphics work, HP has added in bigger dual fans and radiators. No matter how impressive, HP Spectre is still not tough enough to compete with the pros like Asus ZenBook Pro 15 or the Dell XPS 15, but for only $1,389 worth of damage, it’s a more than good enough package. HP is debuting the upgrade by claiming the “world’s longest battery life in a quad-core convertible” for their 13-inch Spectre x360. It means that for an average professional on a 7-hour working day, it can last for almost 3 days on a single charge. Now that is a brave claim to make. Considering that the battery remains the same as from the Spectre x360 (2017) at 60Wh. HP’s flagship Spectre x360 13 convertible laptops have been recognized multiple times for their core strength and over the top performance. The 2018 update offers a whole lot more with the new Intel “Whiskey Lake” processor and an optional Intel eSIM LTE support. The RAM options go up to 16GB and SSD Storage up to 512GB (NVMe M.2) SSD. You can choose from both a FHD panel or 4K display. And, this decision will directly correspond to the claimed 22.5 hours of battery life. So you can either choose a jock battery with a 1080p display or a 4K screen and less battery life. The display can be pumped to up to 400 nits, even with the new 1-watt panel technology. So, the new, energy efficient panel has calmed one of the most power-hungry components within a PC. The new display being both bright and color-accurate serves as the perfect eye candy. If you hate snoopers, you also have the option to equip the device with SureView panel. It will reduce the visibility of your screen to nosy viewers on your left and right, hence preserving your privacy. The 13-inch laptop is not as graphically gifted as the 15-inch variant and comes with Intel’s UHD Graphics 620 integrated graphics. This gives you some room for basic media manipulation and some light gaming but not as much as pros would prefer. But both versions can achieve up to 1-gigabit download speeds of Wi-Fi. 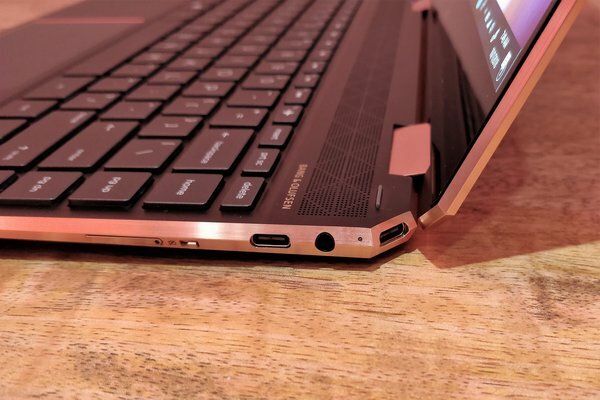 Both the HP Spectre x360 13 and 15 will be available in November. You can order them from HP online or Best Buy with the 13-inch variant starting at $1,149.